There have been no responses for anybody to join me to East London. However my father has been itching to take his first long ride. So I have changed my mind. I do not have many years left with my father. Thus I have decided to take to a shorter trip from Johannesburg to Richards bay via St Lucia Natal South Africa. This will be done at my fathers pace and we plan on doing about 50 to 60 km a day. Thus giving us time to rest and enjoy some time together. He is in his mid 70’s and not a spring chicken anymore. Anybody who wishes to join us is welcome. This my be in the range of more people. We will be camping wild and stopping at some nature reserves. Then ending with some swimming in the Indian ocean. My father is an avid bird watcher so he will want to stop and look at birds. Departure from my house will be on 12 December and will meet my father at my sister’s house at Balmoral on the 13 December. From there we will hit the road together and head east. Doing a mix of sand and tar roads. We will be avoiding all major routes to keep out of the traffic. Plan to bus it back to Johannesburg on 27 December. Once I have done more planing I will post it on my Next trip page. 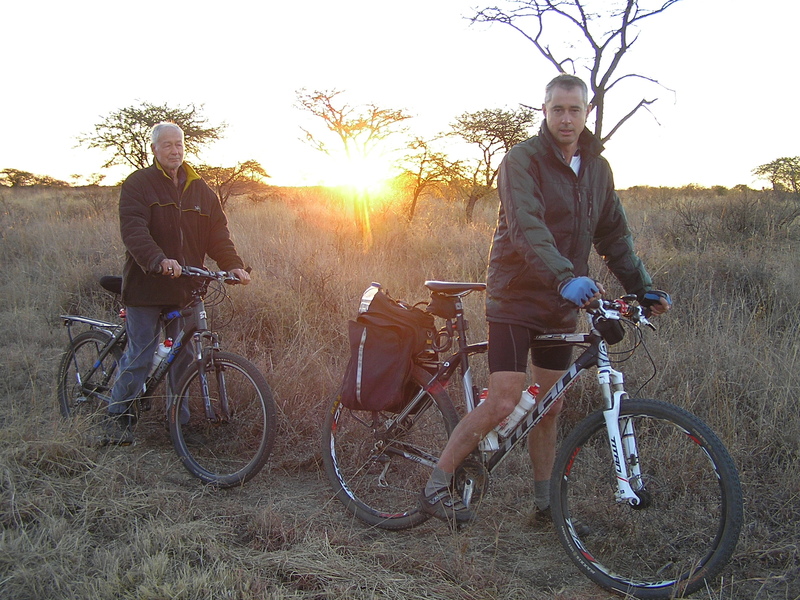 This entry was posted in Bicycle adventures, Bicycle riding, Uncategorized and tagged St Lucia by krfarmer. Bookmark the permalink.